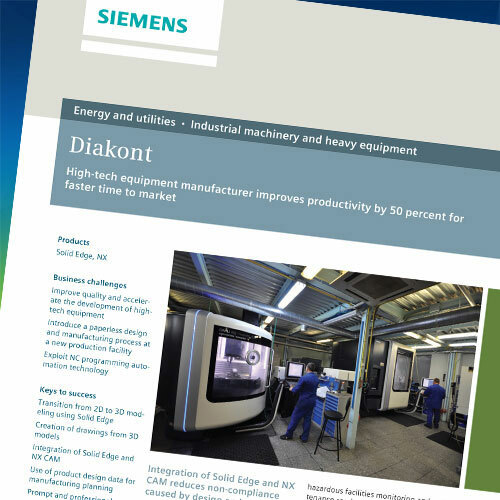 Capable of both turning and milling, the latest multi-function machine tools minimize the number of setups required to machine parts. 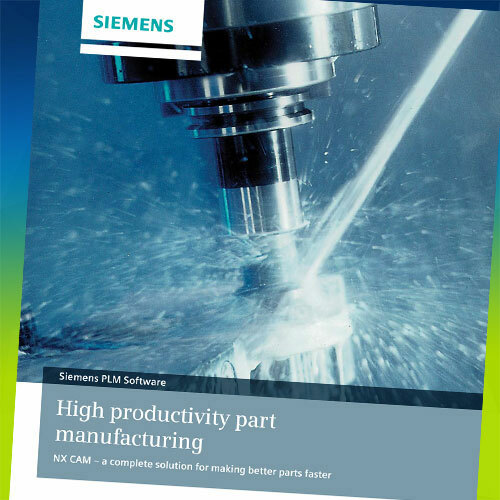 Shop-floor productivity improves as a result of mill-turn machines’ support of simultaneous, multi-axis operations. For the latest mill-turn machines, consider the complete range of capabilities available in NX CAM – any combination of turning, 3-axis milling, 3+2 positional milling and full 5-axis milling. Easily synchronize and optimize the machining sequence with the interactive and visual tools that are a part of NX. Program almost any multi-spindle, multi-turret application with the complete turning solution in NX. Machine the most demanding geometry using either 2D part profiles or full solid models. The advanced cutting strategy capabilities of NX turning include roughing, multiple-pass finishing, grooving, thread cutting and centerline drilling. Program jobs ranging from prismatic parts and freeform parts to complex surfaces using NX CAM’s in-depth 2- to 5-axis milling capability. Preview and specify a sequence of volumes to be machined in order to quickly program prismatic parts. Create precisely controlled tool paths on complex surfaces with effective collision and gouge checking by utilizing the advanced 5-axis capabilities. 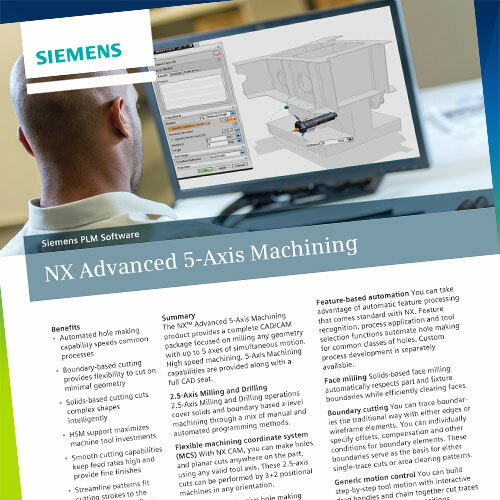 NX CAM easily synchronizes multi-turret and multi-spindle machining. Synchronization Manager uses a graphical display that provides interactive control for machining sequences across multiple channels. The software offers user control of the flow of each phase of the machining process. Operations on multi-function machine tools are easily synchronized through use of the full visualization and timing comparisons. With the simulated machine tool in NX CAM the entire machining process on multi-function machine tools can be validated. The NC output of the NX internal postprocessor drives the motion of the simulation. Consistently updating with the G-codes as they are processed, a 3D model of the machine – with the part, chucks, and tooling – moves in the way the real machine tool will move.